BALTIMORE, MARYLAND - The 16th annual Baltimore Comic-Con will be held on September 25-27, 2015 at the Baltimore Convention Center in Baltimore's historic Inner Harbor. In 2015, we are welcoming back to our show for his 3rd visit rising comics star Charles Soule. Originally from the American Midwest, Soule received his undergraduate degree in Asian and Middle Eastern Studies, and went on to live in the Philippines, Singapore, and Hong Kong before returning to the States to live in New York. Returning to school, Soule graduated with a law degree from Columbia Law School, and is a practicing attorney in New York City. Soule's comics writing career launched with the publication of his graphic novel Strongman from SLG Publishing in 2009. In 2010, Image Comics launched his comic, 27, a 4-issue mini-series, followed in 2011 by 27: Second Set. 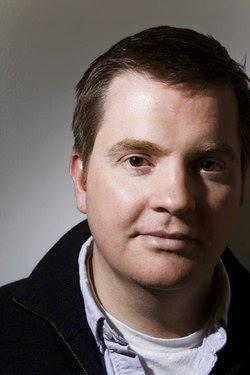 In 2011, Soule started working for DC Comics, taking on such high-profile titles as Action Comics, Green Lantern, and Superman, and eventually writing runs on Red Lanterns, Swamp Thing, Legends of the Dark Knight, and Superman/Wonder Woman. As of 2013, Soule began work for Marvel Comics, starting on Thunderbolts, and signing an exclusive agreement in 2014, putting out noteworthy arcs on Death of Wolverine, Inhumans, She-Hulk, and Wolverines. Soule continues to pen creator-owned titles too, including Strange Attractors from Archaia and the ongoing Letter 44 from Oni Press, which was recently optioned for development by the SyFy Network. You can find his work this year on Marvel's Wolverines, Uncanny Inhumans, Inhuman, Inhumans; Attilan Rising, and Oni Press's Letter 44. "It's really exciting for us to watch the progress of some of our guests as they really begin to catch the reader's eye," said Marc Nathan, promoter of the Baltimore Comic-Con. "Charles is definitely one of those guests who was a growing talent when we first met him, and will be a very busy man at the show this year, and we couldn't be happier for him!" This year's confirmed guests for the show include: Neal Adams (All-New Captain America); Jeremy Bastian (Cursed Pirate Girl); Christy Blanch (The Damnation of Charlie Wormwood); Mark Buckingham (Fables); Cliff Chiang (Wonder Woman); Frank Cho (Jungle Girl); Steve Conley (Bloop); Amanda Conner (Harley Quinn); Katie Cook (Gronk); Darwyn Cooke (Richard Stark's Parker); John Gallagher (Buzzboy); Cully Hamner (Convergence: The Question); Dean Haspiel (The Fox); Jaime Hernandez (Love and Rockets); Klaus Janson (Superman); Dave Johnson (Inhumans: Attilan Rising); JG Jones (Strange Fruit); Denis Kitchen (The Best of Comix Book: When Marvel Went Underground); Barry Kitson (Empire: Uprising); Seth Kushner (Schmuck); Mark Mariano (The Other Side of Hugless Hill); Ron Marz (Convergence: Batman and Robin); Terry Moore (Rachel Rising); Tom Palmer (The Avengers); Jimmy Palmiotti (The Con Job); Dan Parent (Archie); David Peterson (Mouse Guard); Ron Randall (Convergence: Catwoman); Budd Root (Cavewoman); Don Rosa (Donald Duck); Stan Sakai (Usagi Yojimbo); Matteo Scalera (Black Science); Bart Sears (Bloodshot); Louise Simonson (Convergence: Superman - The Man of Steel); Walter Simonson (Convergence: Superman - The Man of Steel); Andy Smith (Earth 2); Charles Soule (Uncanny Inhumans); Ben Templesmith (Gotham by Midnight); Frank Tieri (Suicide Squad); John Totleben (Swamp Thing); Rick Veitch (Saga of the Swamp Thing); Mark Waid (Daredevil); John Watson (Red Sonja); Kelly Yates (Doctor Who); and Thom Zahler (My Little Pony: Friends Forever).